Below is a list of road closures in St. Johns County for the week of January 19-25, 2019. Please note, closure is subject to change. 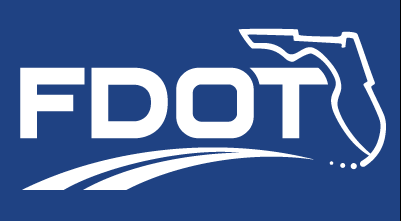 If you are looking for information regarding ongoing construction projects and traffic impacts for January 19-25, 20,19 please visit Florida Department of Transportation blog, http://www.nflroads.com/Blog. The site is updated by 5:00 pm on Fridays. Looking for traffic incidents that may be along your route? You may use the FL511 app, dial 511 or go to http://www.fl511.com. Daytime lane closures Monday through Friday from 9 a.m. to 3:30 p.m. for construction of a new hotel. Nighttime lane closures Sunday through Friday from 9:30 p.m. to 6:30 a.m. for work related to the intersection project. Daytime lane closures Tuesday through Thursday from 9 a.m. to 3 p.m. for shoulder repairs. Daytime lane closures Wednesday from 9 a.m. to 4 p.m.for routine bridge inspection. Daytime lane closures Monday through Friday from 9 a.m. to 3:30 p.m. for equipment placement and material removal. Daytime lane closures Monday through Friday from 9 a.m. to 3:30 p.m. for FPL pole replacement. Daytime lane closures Monday through Friday from 9 a.m. to 3:30 p.m. for right turn lane construction. Daytime lane closures Tuesday through Friday from 9 a.m. to 3:30 p.m. for construction of a new access to the Landings. Daytime lane closures Monday through Friday from 9 a.m. to 3:30 p.m. for FPL electrical pole replacement.